Parents have long known that children respond to a system of rewards and punishments. 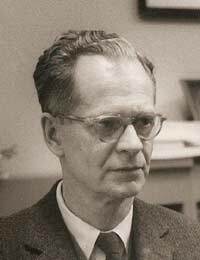 While to say that this is a simplification of the theories of famed American behaviourist B.F. Skinner would be an understatement, it is accurately descriptive of the most basic aspect of his beliefs. Operant behaviour and operant conditioning, Skinner's most widely acclaimed work, is based on a system of both positive and negative reinforcement. While it is commonly known that behaviour is affected by its consequences, Skinner's theory of operant conditioning further states that the process does not require repeated efforts, but is instead an immediate reaction to a familiar stimulus. To the hungry rodent, the sound of the dispenser became a reinforcer when it was first associated with feedings and continued to be so until after a while, researchers stopped providing food when the lever was pressed. Soon after that, the rat stopped touching the lever. Even without having personally experienced any negative consequences from disobeying. The knowledge of what COULD happen if certain behaviours are chosen can be enough to keep us from acting in certain ways. Although this isn't always the case, with many lessons being learned "the hard way", the ability to benefit from the experiences of others as examples is a uniquely human characteristic. Skinner again experimented with rats to show how negative reinforcement can also strengthen behaviour. Skinner placed the rat inside the box and a sent electric current into the box, as the rat moved around the box it would knock the lever by accident and the electric current would stop. The rats soon learned that when they were placed in the box to go straight to the lever to turn off the electric current. Knowing they could escape the electric current caused the rats to repeatedly go to the lever. Not only were the rats taught to stop the electric current but also to avoid it completely. Skinner eventually taught the rats to press the lever when a light came on in the box which would stop the electric current before it even started. How Does All This Relate to Children? One of the aspects important to human behaviour, though, is the feelings associated with behaviour that is controlled by conditioning. When previous behaviours have been rewarded, children are likely to repeat those behaviours happily and willingly, feeling that they are doing what they 'want' to be doing. If, on the other hand, children choose behaviours in order to avoid a repeat of negative reinforcement, they may behave appropriately, but will be inclined to feel that their freedoms are being suppressed. In reality, the actual freedom still exists, of course. Children, like the rest of us, are free to behave in any manner that they choose, as long as they are willing to accept the consequences of their actions. Behaviour modification typically consists of changing the consequences of an action or applying new consequences to guide behaviour. In the past, most parents chose to control the behaviour of their children by using negative reinforcement, that is, misbehaviour or disregarding house rules resulted in punishments. Today, many parents (and even school systems and other childhood authorities) are inclined to provide positive reinforcement to encourage good behaviour, reserving negative reinforcement techniques only as a last resort. While the results are not usually as immediate, they are typically seen as healthier, providing children with appropriate behavioural guidelines while allowing them their dignity. An example of this in practice in an early years setting (such as a nursery or pre-school), may be a reward chart: children who behave in the manner expected receive a sticker or place on the chart; the reward encourages further good behaviour. It may also improve the behaviour of others by promoting positive role models. Obviously, it benefits both children and their parents when positive reinforcement techniques are chosen as a means of guiding children's behaviours, making for a more pleasant and respectfully run household. Even babies and very young children respond well to a system where rewards exists, repeating behaviours when they elicit big smiles and hugs from Mum and Dad. As children grow, using positive reinforcement to encourage appropriate behaviour can help parents to encourage their kids' continued cooperation. Piaget's Theory of Cognitive Development. Can someone tell me how this theory relates to the EYLF? What year was this experiment conducted? I do not believe that this theoriesis always true because sometimes when a child receive and punishment but they still not learning anything.For example a child can be beaten for swearing but he/she can not stop swear definitely after the punishment but he/she will continues to swear but when he approach to person that he/she was beaten him/her for swearing and definitely during this moment the swear can stop from his/her mouth. Where is the positive reinforcement with the rat experiment?????? The above theory is incorrect, you should re read his theory. the theory is the first I reaed and the best that I have reaed. I think this is absolutely brilliant!!!!!!! :) Thanks guys!!! How do children learn through play according to Skinner? What Schemas are used in play? What is the social interaction n learning and development? Very educative theory to parents, care givers and institutions. It's a theory that guides on behaviour modification. Very practicle and a theory to trust and depend on. Thanks for the great work. Hi Elizabeth Thanks for this article. This is very greats. I have used this sentences of article"Humans (the big ones as well as the little ones) often respond to verbal operant by taking advice, listening to the warnings of others, and obeying given rules and laws. The knowledge of what COULD happen if certain behaviors are chosen can be enough to keep us from acting in certain ways. Although this isn't always the case, with many lessons being learned "the hard way", the ability to benefit from the pleasant and unpleasant experiences of others as examples is a uniquely human characteristic ". How do I cite it in mu article? I need to page number of book that you used it. Best Warmest Regards. @Leo - you're welcome - hope it helped! practical theory. its very applicable in all angles of personal and academics corners. Wise gentle man. "In the past, most parents chose to control the behaviour of their children by using negative reinforcement, that is, misbehaviour or disregarding house rules resulted in punishments." Using negative reinforcement is still reinforcement it looks at taking away something to increase the behavior, for instance taking an Advil to take a way a headache will increase the behavior of taking Advil in the future. Punishment is to decrease behaviors whether positive or negative. i like the good work done keep it up. please i need more information.thank you. Skinner's experiments and findings are very interesting and quite effective. They have helped me a lot on my open study college assignment. I find this theory to be interesting and so true.One can only agree if he/she spend a few moments to reflect back on his/her childhood's days..........these theory really applied or correlates with my childhoods life experience and it also helps me a lot in understanding childrens behaviour since i'm a teacher.........thank you so much B.F.Skinner for your brilliant discovery!! !